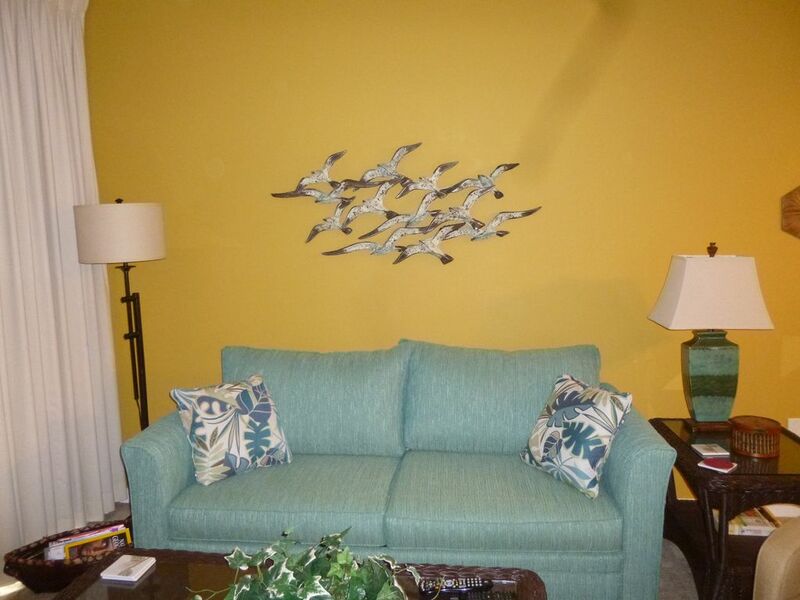 This is a wonderful, three bedroom, three and one-half bath condominium at the renowned Beach Club in Gulf Shores. This condominium has a breathtaking view of the ocean from the private balcony. Enjoy one of our FIVE swimming pools and sunbathing areas, rated as some of the best on the Gulf Coast. Also included is an indoor pool, FIVE jacuzzis, two steam rooms, two saunas, an European Health spa, and great attendants to assist your every need on the beach. All berooms have flat screen HDTV with DVD's. Fully equiped kitchen, everything you need to fix your special dinner. To keep our unit in the best condition for your enjoyment, WE DO NOT ALLOW PETS OR SMOKING. The master bedroom has a king-size bed, the other two rooms have queen-size beds, the sofa also pulls out to a queen-size bed for comfortable accommodations for eight people. This condominium, Avalon Towers, was built in 2001. Our unit is located on the fourth floor with direct access to the elevators for easy up and down to the pools and beach, yet high enough for spectacular views. The best cleaning and maintenance crew on the gulf coast. ALWAYS OPEN TO DISCUSS PRICING. The Condo was just as described with an excellent view of the beach, which is in walking distance. Even though the weather didn't cooperate, we still had a great time. The Condo was clean and spacious. The owner was kind enough to allow early access so my little ones could take their nap. For that, I am most grateful. We would definitely stay here again! My family and I recently stayed at the Beach Club. It was wonderful. Ken was very helpful and easy to work with. The condo has everything you need and view that is unmatched! The beach itself was clean and enjoyable. We would love to return. Great condo! Had all the amenities needed. Comfortable beds! We thoroughly enjoyed our stay 9/6/18-9/6/18! This condo has everything you need for a wonderful vacation! The beds slept wonderful. Bathrooms are big and spacious. Tvs in all the bedrooms. We had 6 adults and 1 child and was grey space for all of us. Our family stayed in Avalon 406 this year for our family vacation and we really enjoyed our stay. The owner was really great to work with. He was always quick to respond to any questions or concerns that I had before and during our stay. I must say the beach was the absolute best that we have experienced in all the years we have been vacationing in Gulf Shores. I do recommend this resort to anyone that does not mind staying about 10 minutes out of town. The condo was as pictured. It was quiet and we thoroughly enjoyed it. We had been to the Avalon before but this time we brought our grandsons. They loved the pool and beach! Summer bookings are from Saturday to Saturday.